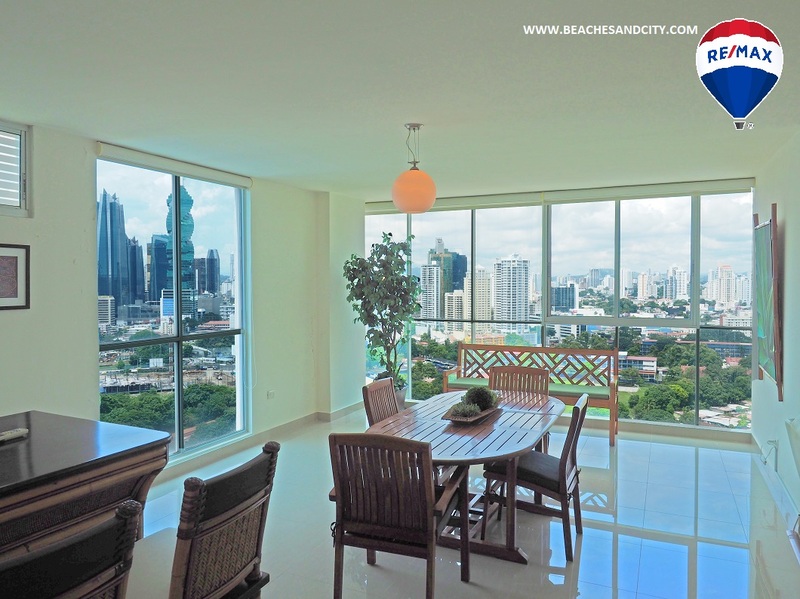 This large 3 bedroom apartment located on the border between Punta Pacifica and Punta Paitilla is a must see. A large den offers the flexibility of a 4th bedroom, and the large maid’s quarter offers privacy to you and your employees. 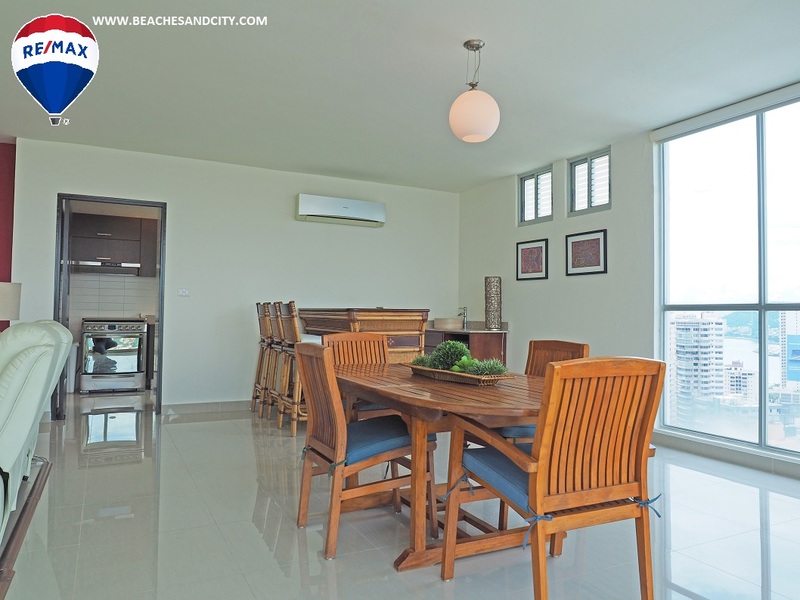 The large windows offer stunning views of both the city and the ocean and with ample outdoor space, you may find yourself spending a lot of time on the balconies. Including the maid’s quarter, the apartment has 4 full bathrooms, 2 of which are private and one functioning as a guest bathroom. Pacific Sun offers all of the amenities on your list including a gym, pool, children’s play area, lounging areas and a meeting or party room. There is a sauna, a large welcoming lobby, and a building concierge/security person on staff at all times. The building administrator is a delight and the building is well maintained. 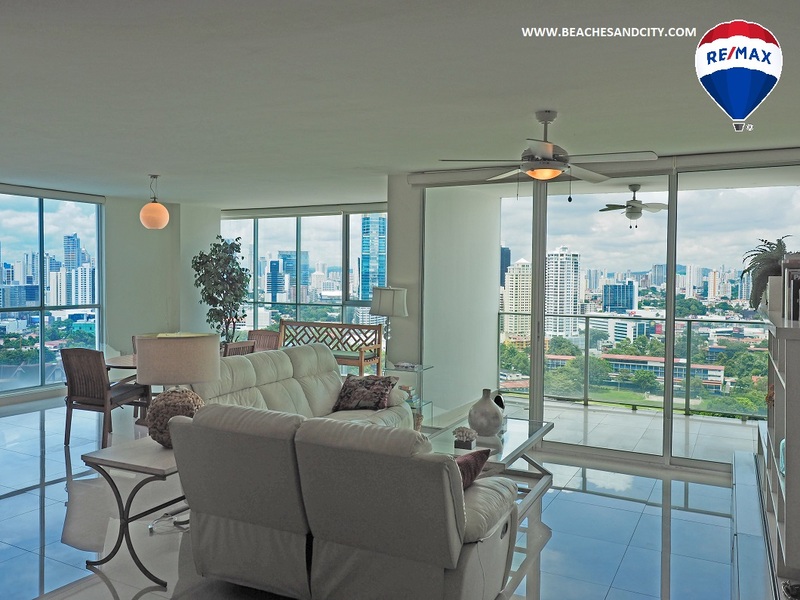 Offered fully furnished, the apartment is easy to show on short notice most of the time.